The vast savannas and great migrations of the Serengeti conjure impressions of a harmonious and balanced ecosystem. But in reality, the history of the Serengeti is rife with battles between human and non-human nature. In the 1890s and several times since, the cattle virus rinderpest—at last vanquished in 2008—devastated both domesticated and wild ungulate populations, as well as the lives of humans and other animals who depended on them. In the 1920s, tourists armed with the world’s most expensive hunting gear filled the grasslands. And in recent years, violence in Tanzania has threatened one of the most successful long-term ecological research centers in history. 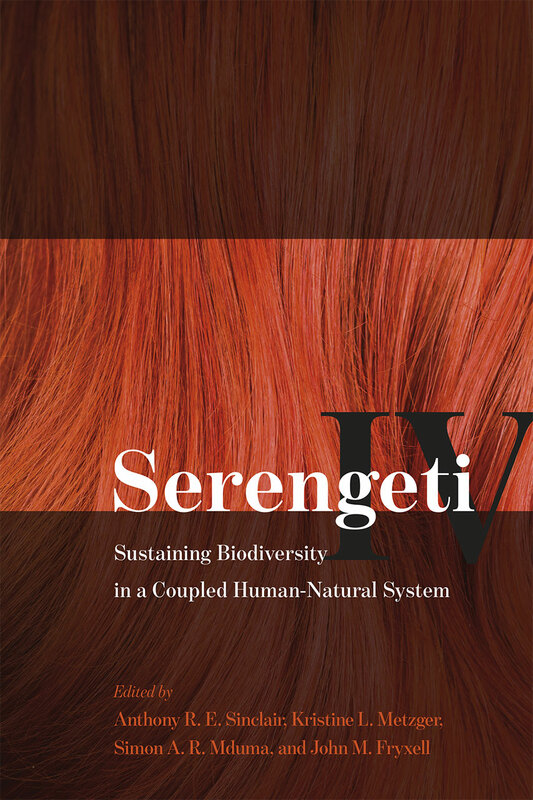 Serengeti IV, the latest installment in a long-standing series on the region’s ecology and biodiversity, explores the role of our species as a source of both discord and balance in Serengeti ecosystem dynamics. Through chapters charting the complexities of infectious disease transmission across populations, agricultural expansion, and the many challenges of managing this ecosystem today, this book shows how the people and landscapes surrounding crucial protected areas like Serengeti National Park can and must contribute to Serengeti conservation. In order to succeed, conservation efforts must also focus on the welfare of indigenous peoples, allowing them both to sustain their agricultural practices and to benefit from the natural resources provided by protected areas—an undertaking that will require the strengthening of government and education systems and, as such, will present one of the greatest conservation challenges of the next century. 6 Why Are Wildebeest the Most Abundant Herbivore in the Serengeti Ecosystem? Katie Hampson, J. Terrence McCabe, Anna Estes, Joseph O. Ogutu, Dennis Rentsch, Meggan Craft, Cuthbert B. Hemed, Eblate Ernest, Richard Hoare, Bernard Kissui, Lucas Malugu, Emmanuel Masenga, and Sarah Cleaveland.